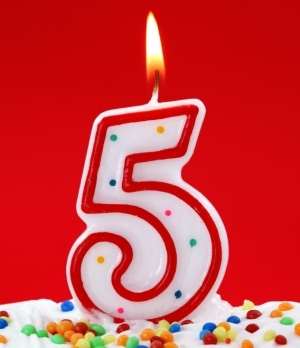 It’s hard to believe that it’s been five years since I started this humble little blog. I came up with the idea while attending a workshop on social media for small business owners. Within a week I’d launched Women Who Cycle. At the time I didn’t know if I’d be able to sustain it beyond the first few months. Blogging is a very personal undertaking, you really put yourself out there for others to review and judge. I’ve been very fortunate to receive mostly praise for my efforts, which has had a large part in keeping it going. I’m not sure if other people have this experience with their blog, but it feels like it takes on a life of its own. It’s not longer just about me, it’s about all the other female cyclists who have contributed over the past five years. I’m very grateful to all the wonderful women (and men) who’ve had a part in the success of Women Who Cycle. I’ve been constantly surprised by how willing the busy professional female cyclists who I’ve interviewed have been, some of them more than once. Not one of them has ever knocked me back on an interview request. But it’s also the other less famous women who’ve helped me along the way. Fabulous women who’ve eagerly answered my questions via email, or sometimes face-to-face. There are way too many of them to name one-by-one. Thanks so much for your help. Five years of blogging is a time to reflect on the future of Women Who Cycle. I’d love to hear any suggestions on how it can be improved, topic ideas and more. All suggestions welcome via comments or Women Who Cycle on Facebook. Congrats Nicola – Happy 5th Birthday! !